Mel Tucker, who spent three seasons as Georgia's defensive coordinator and helped guide the Bulldogs to a 32-9 record, is the new Colorado head coach and will not assist the Bulldogs in their Sugar Bowl date with Texas. 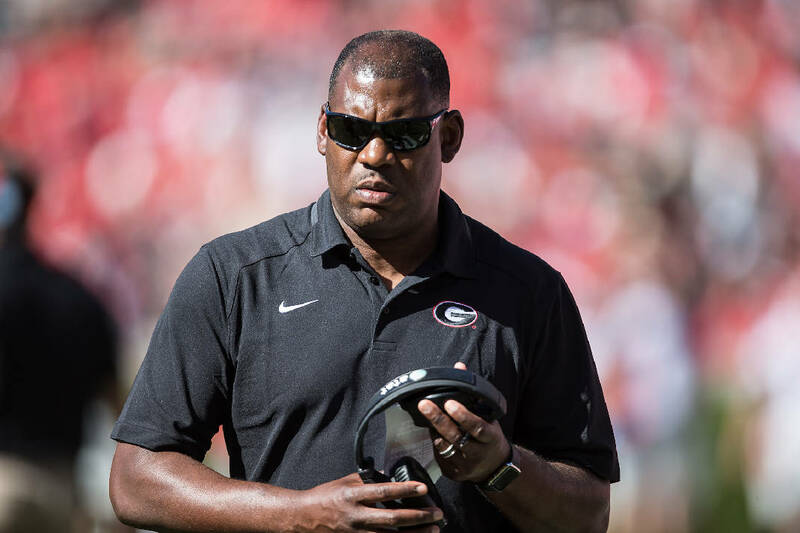 Mel Tucker has worked his final game as Georgia's defensive coordinator. Tucker was named Wednesday afternoon as the new head coach at Colorado, with Buffaloes athletic director Rick George announcing through a release that Tucker will receive a five-year contract for $14.75 million with a $2.4 million salary for the 2019 season. He replaces Mike MacIntyre, who went 30-44 in a six-season run that included a Pac-12 South Division title in 2016 and five last-place South finishes. "Colorado has always been a place that I thought should be relevant in the national championship conversation year-in and year-out, because of its tradition and a seemingly endless list of what the school has to offer," Tucker said in the release. "Colorado should be a 'no excuse' program. There's absolutely no reason we can't achieve success at an extremely high level. I can remember when Colorado was dominant with players like Kordell Stewart, Rashaan Salaam, Chris Hudson, Darian Hagan, Alfred Williams and others. "Colorado always had difference makers and was very dynamic on both sides of the ball, and my plan is to continue to restore that tradition and make sure that Colorado once again becomes an elite national program. There's not a better place in America to live, to coach and go to school." According to the release, Tucker will "begin work immediately and will not coach Georgia in the Sugar Bowl against Texas on New Year's Day." Tucker has spent the past three seasons in Athens, helping the Bulldogs post a 32-9 record highlighted by the 2017 Southeastern Conference championship win over Auburn that was followed by a Rose Bowl national semifinal triumph over Oklahoma in double overtime. Georgia finished sixth nationally in scoring defense (16.4 points per game) and total defense (294.9 yards per game) last season, with inside linebacker Roquan Smith winning the Butkus Award before becoming the No. 8 selection in the 2018 NFL draft. This year's Georgia defense ranks 13th nationally in yardage (311.2) and 15th in points (18.5). "When I came to Georgia in December 2015, one of my top priorities was to bring Mel Tucker in as defensive coordinator," Georgia coach Kirby Smart said in a released statement. "He is an exceptional coach, coordinator and trusted friend. He has a great combination of college experience and time in the NFL, and he has been a remarkable mentor to our players. "Mel has been one of the major influences in the success we've had, and we will certainly miss him." Tucker previously coached under Nick Saban at Michigan State, LSU and Alabama and is the 10th former protégé of Saban during his time in Tuscaloosa who now heads a Football Bowl Subdivision team, joining Smart, Major Applewhite (Houston), Geoff Collins (Temple), Mario Cristobal (Oregon), Lane Kiffin (Florida Atlantic), Mike Locksley (Maryland), Jim McElwain (Central Michigan), Billy Napier (Louisiana) and Jeremy Pruitt (Tennessee). Bulldogs senior cornerback Deandre Baker, a projected first-round NFL selection, told reporters Wednesday that he plans to play in the Sugar Bowl. Senior defensive end Jonathan Ledbetter and senior outside linebacker D'Andre Walker have accepted invitations to play in the Senior Bowl. Smart is among seven finalists for the Bobby Dodd award as the national coach of the year, joining Saban, Syracuse's Dino Babers, Northwestern's Pat Fitzgerald, Notre Dame's Brian Kelly, Oklahoma's Lincoln Riley and Clemson's Dabo Swinney.